​​​​Our 8 oz. emulsified shower scrubs are all natural and a fantastic way to moisturize in the shower. 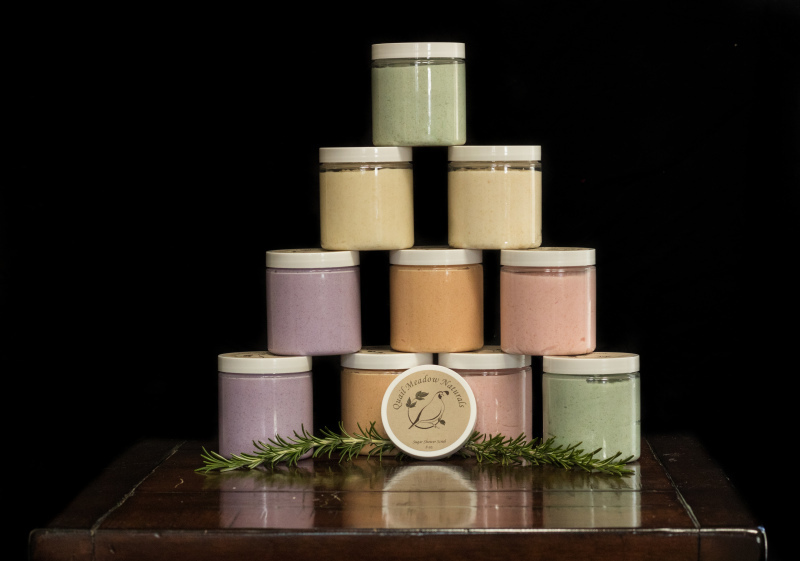 These scrubs are made from organic sugar, grapeseed oil, avocado oil, sweet almond oil, and shea butter. This leaves your skin feeling soft and conditioned.